Walker (see Syria) writes, " BAHRAIN, the first country on the [alphabetical] list, is simple. It issued its first stamp in 1933 and has remained philatelically stable since then." 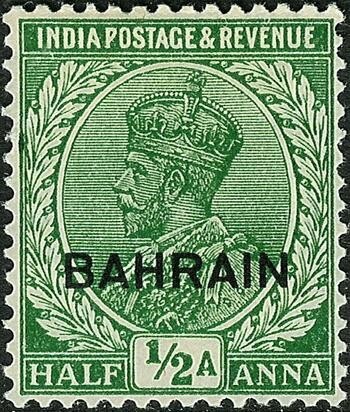 Gibbons  describes Bahrain as, "an independent sheikhdom with an Indian postal admministration from 1844. 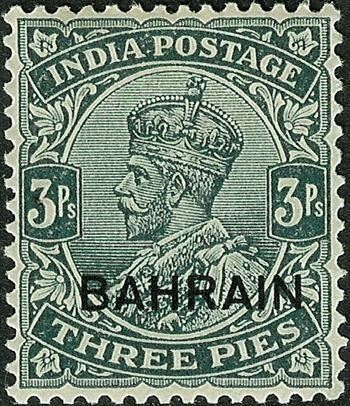 A British postal administration operated from April 1948 to December 1965 … Unoverprinted Indian stamps were used [until 1933]."